Susan Young's motivational keynotes and workshops inspire organizations to create POSITIVE CHANGE to BOOST POSITIVITY, ENGAGEMENT, and COMMUNICATION so they can make a POSITIVE IMPACT in life and business. CONNECTIVITY is EVERYTHING in today’s competitive, and often turbulent times. Success, rewards, forward momentum, credibility, influence, and bottom line profitability? All start by building AUTHENTIC relationships forged in TRUST. COOPERATION. And RESPECT. 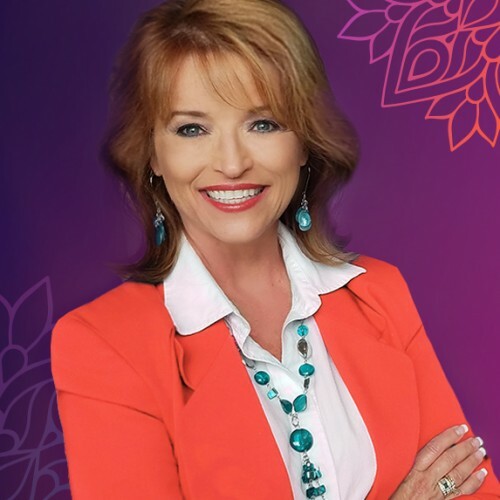 And giving you the tools, techniques and strategies to build those powerful relationships is EXACTLY what Keynote Speaker Susan Young can do for you. Learning Objectives: - Unlock the 4 Keys to becoming a - MASTER NETWORKER - Make the BEST FIRST impression for GAME-CHANGING impact - Quickly build POSITIVE RAPPORT by asking (and answering) the RIGHT questions - Success tips for SOCIAL INTROVERTS - Build a PERSONAL BRAND - Make NETWORKING an ESSENTIAL habit (and reap the rewards of it) - Engage and appreciate the WINGMEN and WING-WOMEN in your life The DO’s and DON’T’s for cultivating connections Deploy the 3 - Step Formula that GUARANTEES SUCCESSFUL results Develop a NETWORKING PLAN GRACIOUSLY end a conversation without AWKWARDNESS or RUDENESS Put the 5-10-15 System to SUBSTANTIALLY grow your business and EXPAND your influence Even the introverted, under-connected or overwhelmed will benefit from her easy-to-adopt methods for turning CONTACTS into CONNECTIONS. Give Susan Young a few hours of your time. What you’ll get in return? In this powerful and insightful workshop, you will learn real-world, how-to solutions for connecting on a whole new level, both personally and professionally.